Fueltek have designed and developed FUELTEK FMO – Fuel manager on-line web hosted software that predominately deals with the FT4000 range and dispensing pump interfaces, and provides transaction information on pump throughputs. 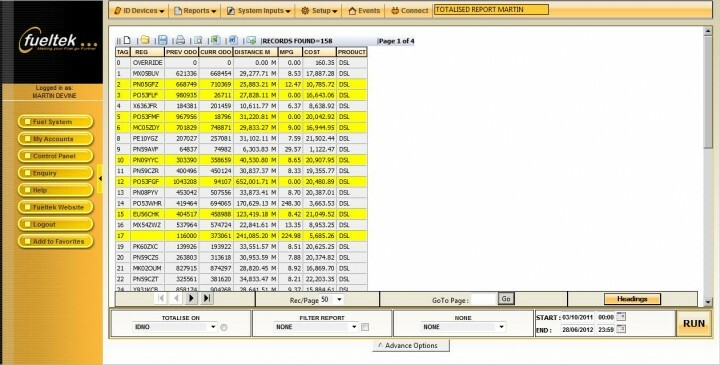 Fueltek FMO can provide stock information using a book stock also known as theoretical stock, pump throughputs are simply deducted from an opening stock figure to give a current stock value. FUELTEK TMO is web based software that interfaces with our Tankwatch and can be used as a stand –alone reporting package for Tankwatch. When Tankwatch is used in conjunction with the FT4000 range it can form an integral part of Fueltek FMO and can be used to produce real time stock comparison with the book stock figures. Differences are expressed as % variances between pump and tank throughputs and book deliveries and actual deliveries. Fueltek FMO (Fuel Manager On-line) provides comprehensive fuel management capabilities for all sizes of fleet operation, using an Internet or Intranet platform. 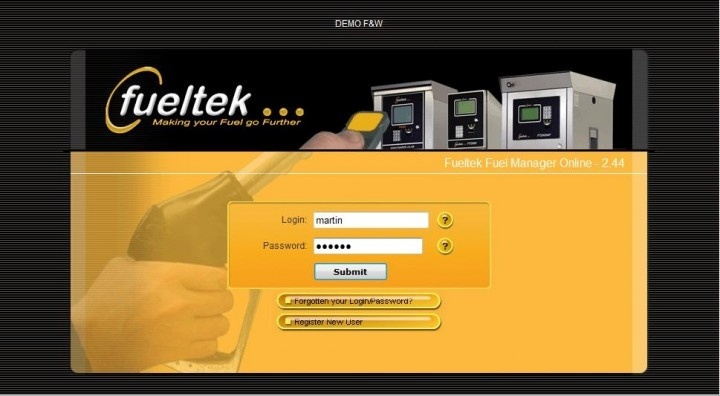 Fueltek FMO is a web application and online fuel management system, which is used in conjunction with any Fueltek Fuel Access Control Terminal (FACT). Fueltek FMO is a true ‘web based application’, this simply means that the software can potentially be accessed from a PC anywhere in the world – the only requirement to use the system is an Internet or Intranet connection, a Login ID and User Password. Fueltek FMO is a scalable solution, ideal for larger fleets, multi-site and multi-user applications that require comprehensive fuel management capabilities at a number of locations. The system allows an administrator to create password controlled access limits for users to specific screens and functions. 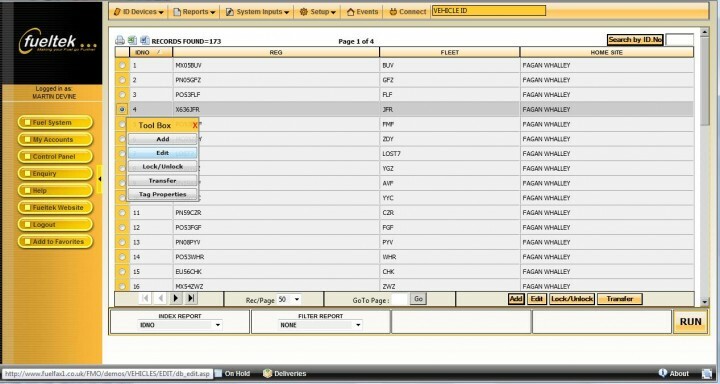 The online fuel management system can accommodate any number of administrators and users. Any number of remote PC’s (clients) can access the web application via their local browser. No software installation is required for client PC’s. Fueltek TMO is a web application and online bulk fuel stock management system, which is used in conjunction with any Tankwatch which is hardware normally installed at the fuel tank location. Fueltek TMO is a true ‘web based application’, this simply means that the software can potentially be accessed from a PC anywhere in the world – the only requirement to use the system is an Internet or Intranet connection, a Login ID and User Password. Fueltek TMO is a scalable solution, ideal for larger fleets, multi-site and multi-user applications that require comprehensive bulk tank management capabilities at a number of locations. The system allows an administrator to create password controlled access limits for users to specific screens and functions. 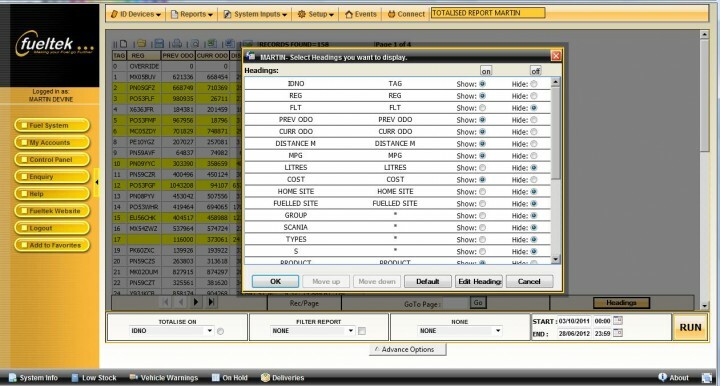 The online fuel management system can accommodate any number of administrators and users. Any number of remote PC’s (clients) can access the web application via their local browser. No software installation is required for client PC’s. No components or software needs to be installed on the client computer, meaning no system hang ups or software crashes, resulting in a more efficient system. Can be accessed from anywhere in the world via an internet/intranet connection. Changes made to the application software i.e updates etc are immediately and universally available to all users. 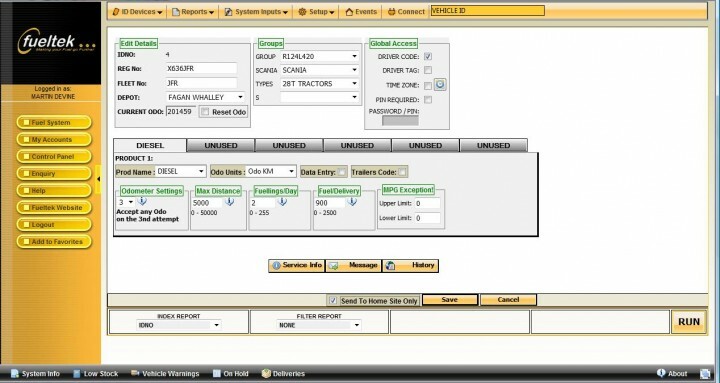 Multi-user: Fueltek FMO / TMO provides multi-user environment with individual username and password. Managed and controlled by an administrator. Fueltek FMO /TMO communicates with the FACT to download all the fuelling transactions, processes them and allows them to be displayed in an easy to read format at any PC which forms part of a network. Export to Microsoft packages: The reports generated In Fueltek FMO/ TMO can be exported into any Microsoft package e.g. Word or Excel with a simple click of the mouse. Administration features: The administrator has the ability to edit, block and add users easily. Real Time Monitoring: The administrator can monitor user activities in real time. 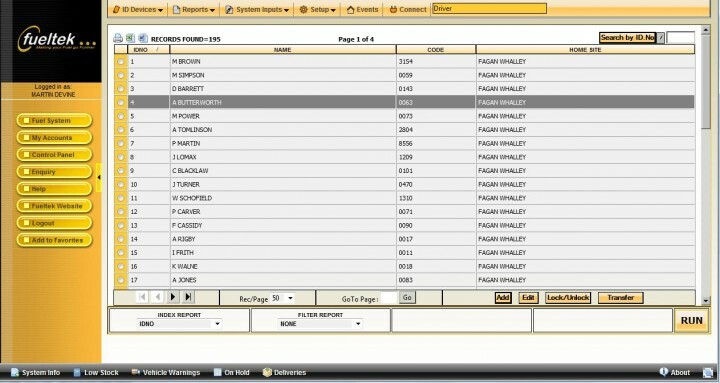 History Log: All activities on Fueltek FMO/TMO are logged and can be viewed by the administrator at a future date. Security: Fueltek FMO/TMO is designed to be secure with unique username and password for individual users. Accepts offsite-fuelling data from all major card companies.